Bikes and childhood go hand-in-hand. 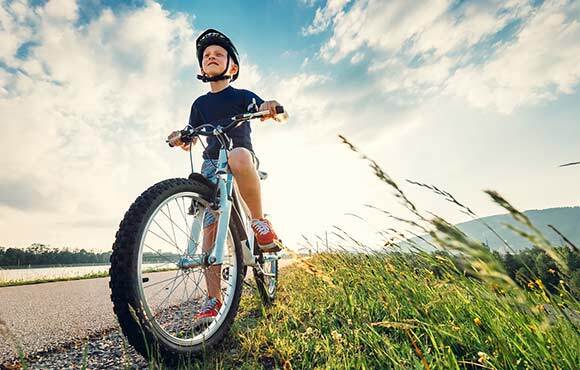 From your kid's earliest tricycle to training wheels to finally cruising around on two wheels, riding a bike is a rite of passage nearly all children experience. But why does riding a bike have to be a one-and-done childhood activity? Cycling is a great way to power your kid throughout adolescence. 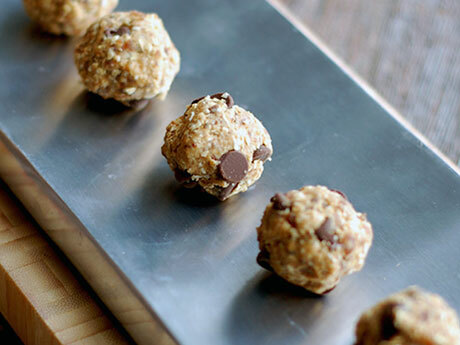 Not only does it provide a plethora of health benefits—from increasing brainpower to improving their cardiovascular health—but it's also great for the environment and convenient for parents. Don't let their favorite set of wheels sit motionless in the garage. 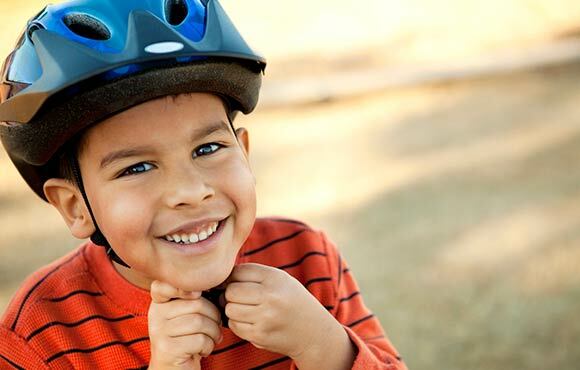 Encourage your child to make cycling a regular hobby. 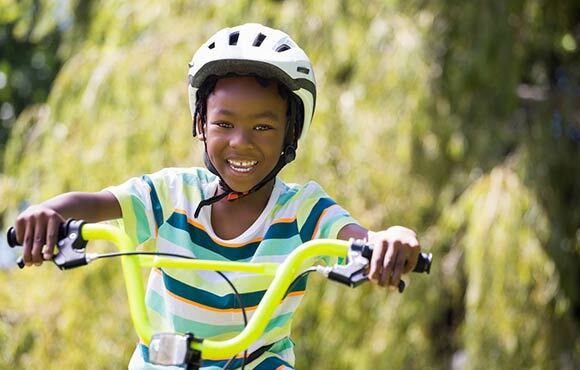 Riding a bike is a form of exercise your kids might not even realize they're doing. Unlike other sports such as baseball or gymnastics, all you need to know when cycling is how to ride a bike. Once your child masters that important feat, they're free to ride to their heart's content without needing to constantly learn something new. 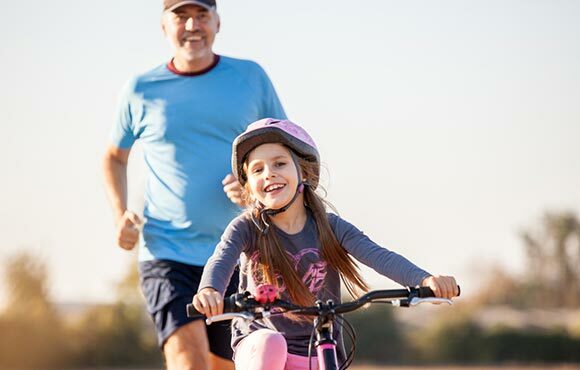 If your child's growing bones are injury-prone, or you're worried about the strain other sports might cause on their body, cycling is a good alternative. Unlike running or basketball, there's no endless pounding of the pavement or gym floor, which can damage knees and ankles. Cycling is a cardiovascular activity, meaning it's an exercise that raises your heart rate and improves your overall heart health. When cycling, our lungs and heart work together to bring oxygen into the body, thus increasing lung capacity and ensuring that oxygen gets where it needs to go as efficiently as possible. Cycling can also cut down on their risk for heart disease. According to a study done by the University of Glasgow, researchers studied more than 260,000 people over five years and found those who cycled daily cut down their risk of heart disease and cancer by over 50 percent. Riding a bike to school, to a friend's house or even to the store not only cuts down on time sitting inactive in the car, but also decreases car emissions. Plus, a study by the Healthy Air Campaign actually found that your child will breathe in less dangerous fumes by riding a bike than by riding in a car, since car-riders are more directly exposed to exhaust from cars both in front and behind you. As busy parents, time is something we never seem to have enough of. If you live in an especially congested area, it can be time-consuming to drive even short distances, since you'll likely sit in traffic and struggle to find parking. 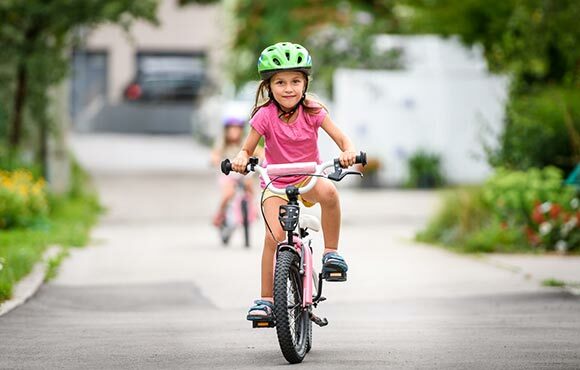 If your child is old enough, letting them bike the short distance to school or a friend's house can save you endless commuting headaches. 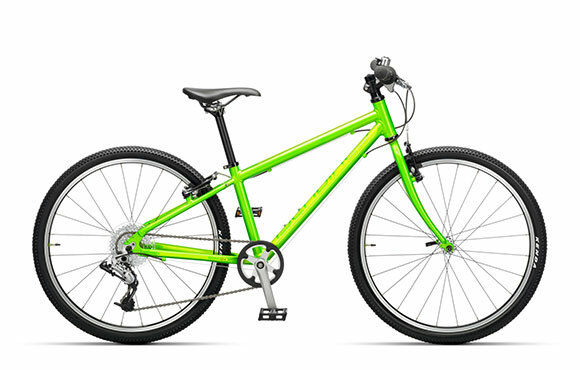 Though there have always been bicycles made in child sizes, companies just recently started engineering children's bikes to more specifically suit their growing bodies. For example, did you know that certain internal organs in children are larger proportionately when compared to adults? This makes it more difficult to bend over in the classic cycling position you see on TV during the Tour de France. For years, Islabikes has studied the way kids' bodies grow and move and has designed a whole slew of bikes to meet their needs. We even had one young cyclist, Miller Brant, try one out, and he confirmed the bike was easy to pedal, easy to steer and very comfortable. He said it fit so well, he even fell over less—a tough feat for young riders who are still getting comfortable on two wheels! Time and time again, cycling has been linked to brain health. A study found that when cycling, blood flow to the brain increased by 70 percent in some areas and even remained elevated by 40 percent after exercise concluded. Plus, teachers have reported that kids who ride their bikes to school are more alert than those who rode in cars. 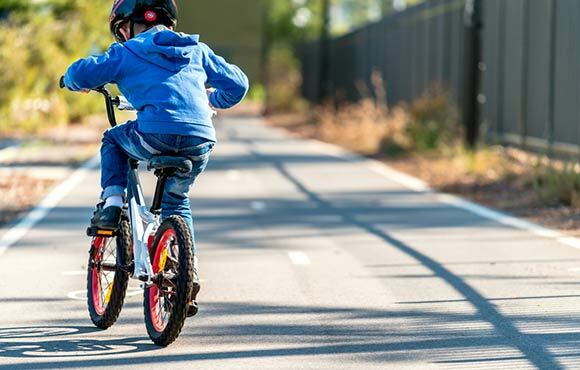 From riding up hills to going fast around corners to dodging potholes in the road, cycling can teach your child spatial awareness and improve their overall body control. Plus, cycling is great for developing your child's sense of direction. 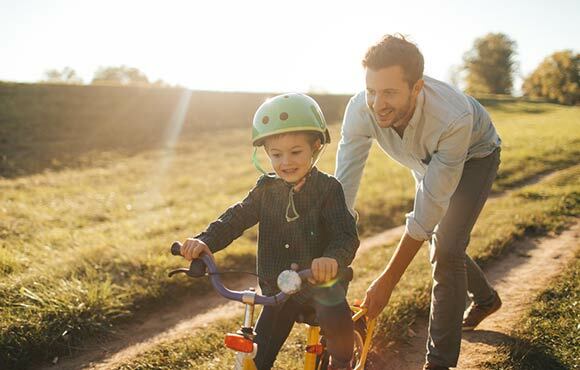 Since you can't exactly have Google maps with you on a ride—and most bike computers with detailed GPS cost an arm and a leg—your kids will quickly develop the navigational skills essential to getting from home to their destination and back again.